Black Friday has come and gone, and what everyone expected to happen happened. 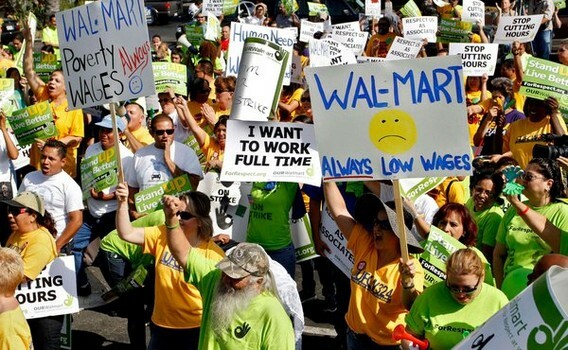 There were near riots at Wal-Marts across the country, as people scrambled for limited amounts of discounted items. However, nobody was killed this year (although two people were shot), so perhaps that’s progress of sorts. No doubt the executives at Wal-Mart and other department store chains were happy with this. They got to watch poor people scramble for a few crumbs. I’m sure they found this highly entertaining. These are the sort of people rail against government programs and “entitlements”, while relying on food stamps to keep their workers from starving. Data from Decide.com over the last two years reveals that Black Friday is not the best time to purchase most items. Nine of the 11 major consumer product categories averaged a lower price leading up to Black Friday, the week after Black Friday or the week before the Christmas holiday. Overall, shoppers save a substantial amount of money on popular products by skipping Black Friday and Cyber Monday. So the whole thing is just a scam. Welcome to capitalism in the twenty-first century.